In 1913 Morris Benjamin Klein founded M.B. Klein, Inc. as a general hardware store and locksmith shop. In the 1960's Baltimore began to expand and a new highway, Interstate-83, was built to help relieve the downtown traffic congestion. As a result of this, the store's original location was absorbed into the construction site of the highway and the store was forced to move from its original location to make way for I-83. The store relocated a block south to 162 North Gay Street.Over the years, Morris Klein's only child, Ted Klein, joined his father at the store, working side-by-side, learning the business. "I was running across the street to a hobby distributor, Kramer Brothers, and buying the trains at wholesale," Ted recalled, "Then I'd run back, and we'd sell them at retail. Finally, I wondered, 'Why am I doing this? And I convinced my father to put in more trains. Ted slowly converted the hardware store to a model train store. At this time period, a Lionel train set was the quintessential toy children dreamed of receiving during the Holiday Season. In the mid-1970's the store was completely converted to trains. HO Scale started to become more popular and M.B. 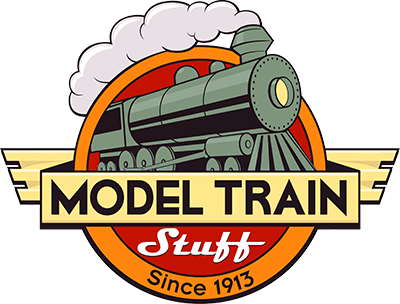 Klein, Inc. continued to expand the variety of products offered to the model railroad community. This included trains, and their myriad accessories so that the model railroader could build a town with homes, apartment houses, sky scrapers, parks, trees, rolling lawns, police and fire departments, jails, city halls, big towns, bigger cities, lakes, mountains, prairies, bridges, tunnels and national monuments! Throughout the 1980's M.B. Klein established itself as the Model Train Headquarters for all model train enthusiasts, young and old. During the Holiday Season, a common sight in Baltimore would be houses throughout the city with train layouts running in the windows. The firehouses throughout Maryland would have large train gardens and the neighborhood children would walk through the display with wide-eyed enjoyment. Practically everyone in Maryland knew that the place to get the greatest selection of train supplies was down at Klein's.The 1990's would be a decade of great expansion. Mail ordering became a common practice for many stores and M.B. Klein was no exception. New scales like N Scale and Z Scale were added to the growing selection of products. The development of the Internet in the late 1990's brought with it a great opportunity. The staff of the store began building a now-established website to offer the store's wares to a worldwide community. M.B. Klein's dedicated, knowledgeable staff now sells to tens of thousands of hobbyists throughout the world! M.B. Klein, Inc. relocated to a new 10,000 square foot location in Cockeysville in the summer of 2007. We added an additional 5,000 square feet to the facility in 2008 expanding warehouse and showroom space. Our new location allows us to stock all our merchandise on site. We are able to ship out our customers' orders daily as they place them using our real-time inventory website. Customers can now see exactly what we have in stock and order with confidence. Our growing abilities and our well-established network of vendors allow us to supply our patrons with one of the largest ready to ship inventories. We are constantly upgrading and expanding our capabilities and continue to look forward to serving the Model Railroad Community.